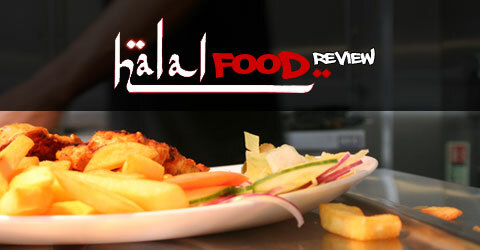 This week we have another review from a new member of the Halal Food Review team, so take it away Shabana Qamar. Salaams to all our Halal Food Review readers, so my first venture into the world of halal food reviewing begins and it starts with Chaii a new establishment in Sparkbrook in the heart of the Somali Quarter. Having passed it on my journey through Stratford Road I thought yaaaay a new food place finally! Then the words chai brewed (get it brewed!!) bringing images of warm Jalebi and Samosas to mind. We arrived to find a rather stubborn door that just wouldn’t open until a firm push from my friend after which we stepped into what could only be described as a something resembling Fidel Castro’s hang out spot, all that was missing was the smell of cigars and ashtrays! My first impressions were this is grim, there was no vibrancy, the walls were a plain cream with a seating arrangement and layout from a wedding that went wrong. The restaurant had a definite masculine feel which was also emphasised by the big plasma on the wall showing Manchester City vs. Stoke (well done Man City!!). The corner seating drew our eye which looked much more comfortable than some of the other options available. were we were greeted by a pleasant smiley brother but then errr it just got kind of awkward as we all just stared at each other blankly before I broke the silence by requesting a menu where we encountered our first problem when we were told not to go by the prices on the menu as they were not correct! This actually was a blessing in disguise because the menu layout and options were just confusing flagging up only drink, breakfast and snack options but no mention of more comprehensive main meal options. We decided to resort to the menu board at the back of the restaurant which was like the menu but in bigger writing resembling something out of countdown and you would need Carol Vorderman (she does still do countdown right) to decode it for you. We were saved from more confusion when the waiter told us not to go by that either so the question still remained what on earth do they serve!? Meal options were selected from choosing from the variety of dishes on display in the front counter and to be quite honest they looked like leftovers from Eid but as they say never judge a book by its cover though for a moment we wish we had and made a swift exit. The ‘varied’ choices were rice (which they had apparently run out of at 1.30pm lunchtime,those crazy morning rice eaters! ), chicken and vegetable pasta, kebabs, paninis and baguettes. We opted for the pasta, a chicken tikka baguette and a kinder bueno milkshake (the picture on the menu did look rather nice if we could go by anything on it). The food arrived in no time at all by our gracious smiley waiter but on presentation it looked rather like your average ‘Caspians’ offer. The pasta was a simple concoction served with a very uninteresting side salad and the baguette was nothing to write home about. My dreams of Samosas and Warm Jalebi had quickly vanished. The menu offer contradicts the name of the establishment, you go in expecting one thing and find yourself ordering something very different. The menu seems to be a random cobbling together of a variety of dishes that don’t always sit well which other. In terms of quality the food is definitely not the worst you can get on Stratford Road there are plenty of better options to have an unpleasant experience but it fails to wow you either. The Pasta was firmly on the spicy side which suited by Pakistani palette but offended by friend’s tastebuds! The one highlight was the milkshake which lived up the heady expectations built up from those very scrummy looking visuals behind the counter. My overall impression of Chaii was one of disappointment this could be down to my own high expectations of new places and its name although they do serve chai (tea) but its not even their speciality, I am still trying to work out what their speciality is a few days after my experience! It is definitely not a place for true food lovers but more a lunchtime snack where a meal for 2 will cost you around £8 which pretty much reflects the quality you should expect. The customer service was better than we expected, you did not have to shout out for a waiters attention although this could be due to it being hardly what you would call busy. The inexperience of the staff seemed too obvious at one point when a customer had to explain step by step how to make a cappuccino to the waiter as he seemed quite clueless as to what one was which was nothing short of embarrassing!